Here’s how it looked after drilling holes 3/4 thru from the top then finishing the hole upwards via the pilot hole extending thru the 1″ hollow hole saw. This hourglass shape then needed to be cut on the perpendicular using the multi-tool saw blade. The point is to get a Vee shape so the lashing lines can enter and exit the tubes at 45 degree angles. 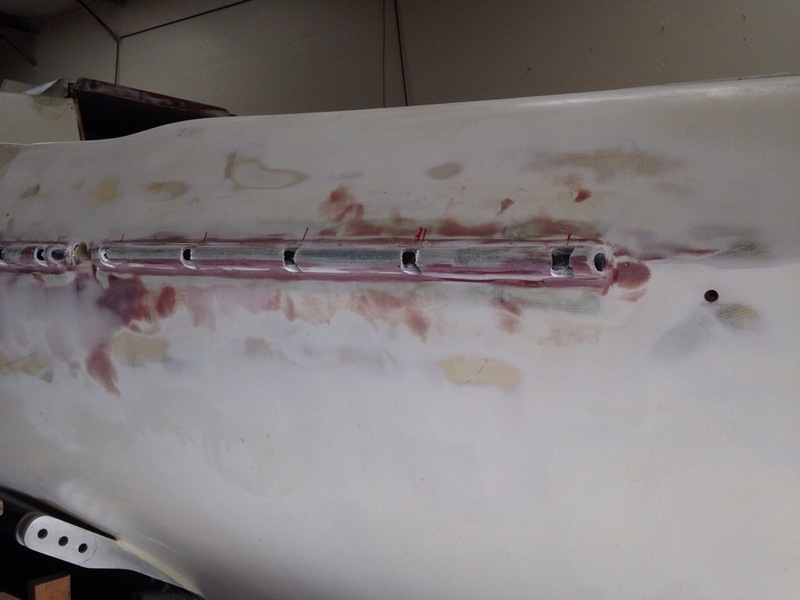 The lines will wrap around a skinny fiberglass rod placed inside the tube. 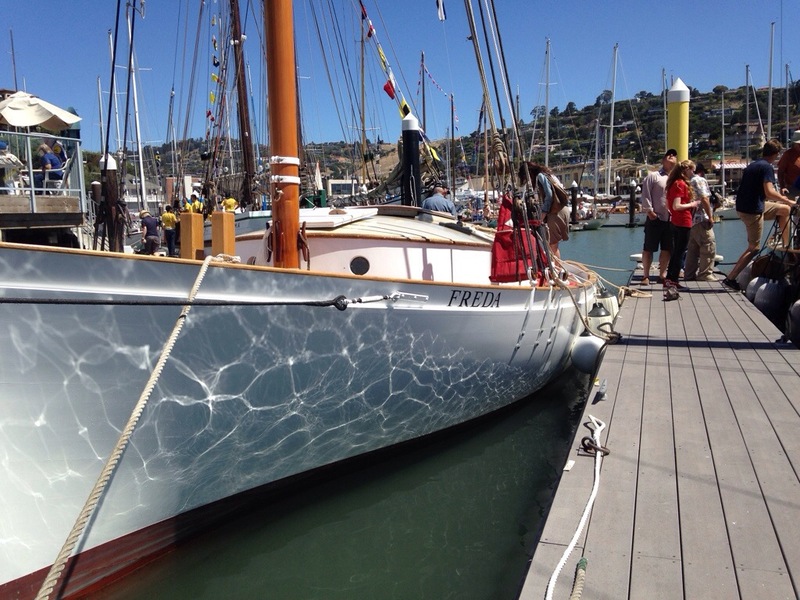 We took a break today and visited the Master Mariner’s wooden boat show at the Corinthian in Tiburon. Colin, Jeanne and I each had different favorites. Origami raced against Yucca many times, and getting to meet Hank Easom aboard his lovely, fast war machine was great. 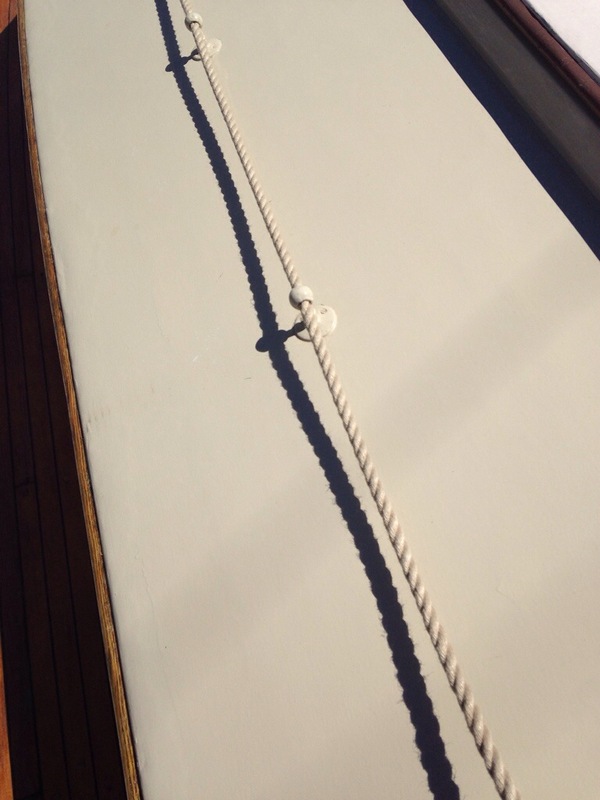 We toured Eros, the 105′ schooner rebuilt by a marvelous couple through their 60’s and 70’s, and now touring the Western Hemisphere. 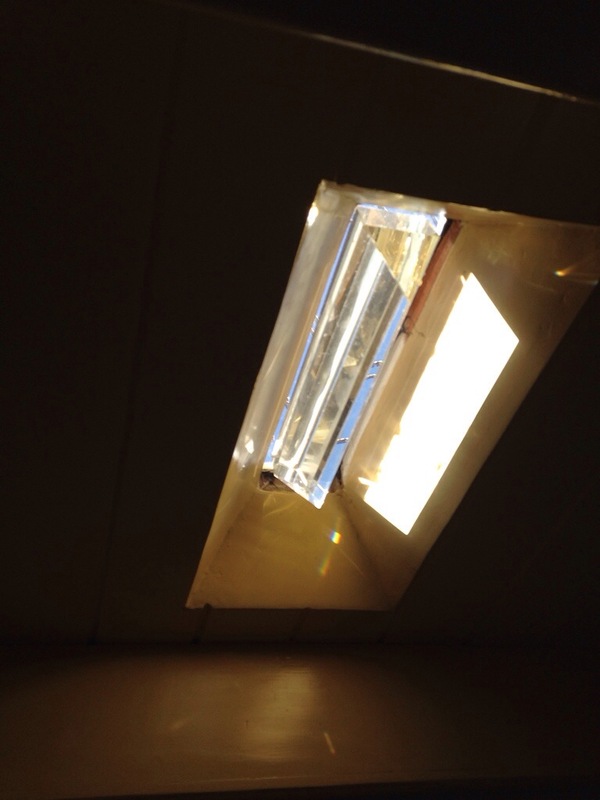 Jeanne wants a light prism in our boat, just like big Eros’ cabins. Perhaps the best part was meeting the owners and seeing the pride they take in caretaking their ships made of wood. And I think we’ll lift an idea right off the oldest active sailboat in California. 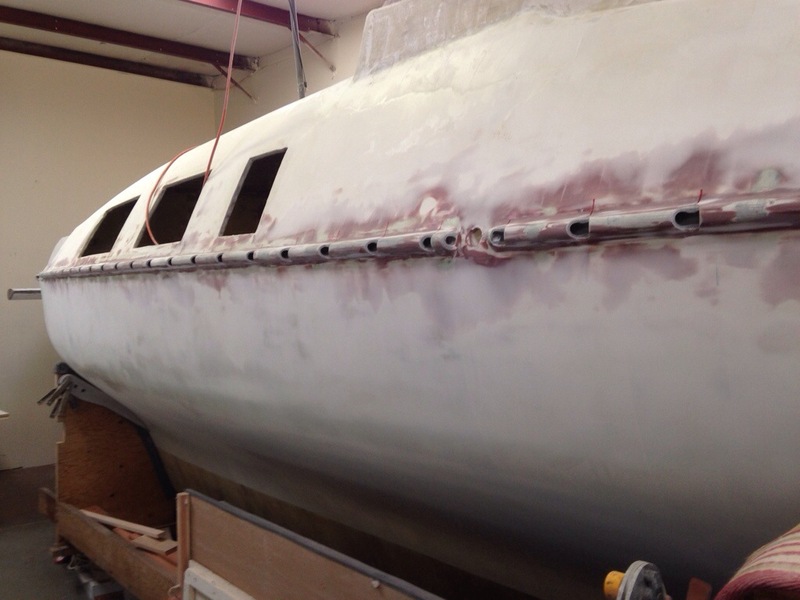 The Spaulding Wooden Boat center has just relaunched Freda after an 8 year rebuild – those volunteers and staff took the entire boat apart to repair extensive damage/rot. Thinking the modern version of these things on Freda would be sleek carbon anchors every three feet and some nice grey no stretch dyneema line. Thinking about it, anyway. But the best part of the day was watching Mrs. Carter take the helm as we went out sailing this afternoon, and show Colin and I what she had learned in her May/June ASA sailing course. The bay kicked up a steady 20kt wind, 5 big cargo ships, 4 ferries and a LOT of sailboat traffic to mess with the driver, but she plowed ahead like a champ. Practice makes perfect, so we’ll be bugging Dad to get the Catalina30 out more often :). Go Jeanne! Carbon and spectra – higher tech and more expensive but better? not so sure. The three strand is easy to grab, kind to your fingers and a little stretch absorbs the shock when you yank on it, not all bad.